Samsung Galaxy A80 is going to launched in pakistan along with its all variants. Galaxy A80 is powerful smartphone then its variants as it has the large number of rumors and specs leak news. Samsung Galaxy A80 is going to have a massive android of 9.0 Pie and this is latest OS technology in world for smartphones that is going to be installed in it. Snapdragon 6150 chipset will be held in its unique and beautiful design. Samsung Galaxy A80 will be very thin and will have no notch. Samsung Galaxy A80 will have 3700 mAh battery that will lasts in days so that user can stay in touch with friends and family. Its 8 GB RAM and SM6150 processor will enhance your browsing experience & you will enjoy faster browsing speed of phone. fingerprint reader is there to enhance security of the Samsung Galaxy A80. There is no issue of storage capacity with this smartphone as it is loaded with 128GB internal memory so that you can save your important work, music files and video on internal storage and can save it with fingerprint security that is nowadays considered as a feature of flagship mobiles. Dual sim supports Samsung Galaxy A80 have 6.7 inches large display screen with 16M colors and multi touch supported AMOLED that can play 1080p videos easily without hanging up so that you can enjoy your favourite drama serial without any hurdle. 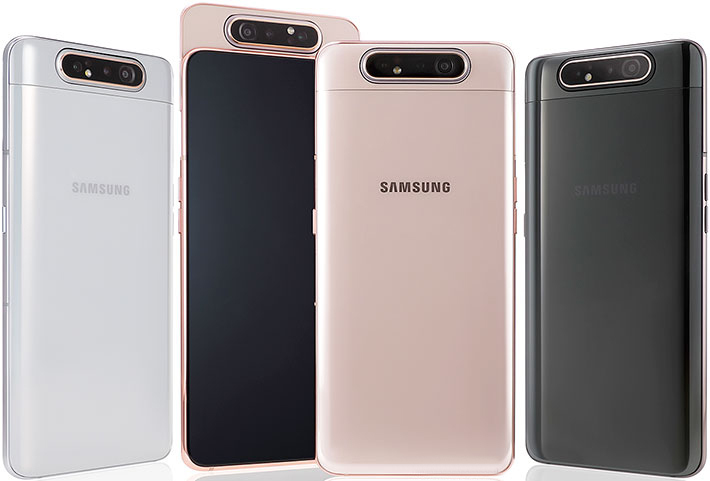 Samsung Galaxy A80 Front camera is 48 MP rotateable and back camera is also rotateable with advance features. 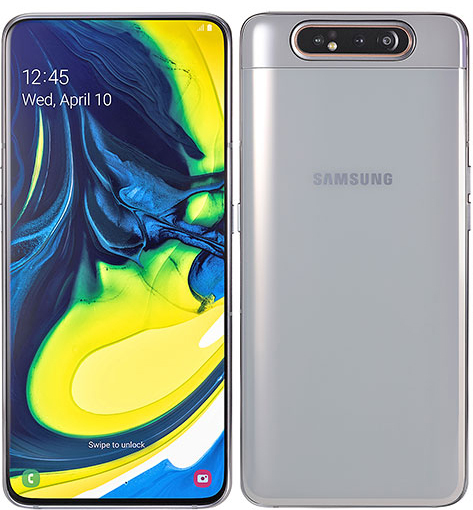 Samsung Galaxy A80 also supports Fast Charging of 25W and Samsung Galaxy A80 Price in Pakistan is expected 105,000 but it is not sure at this time.